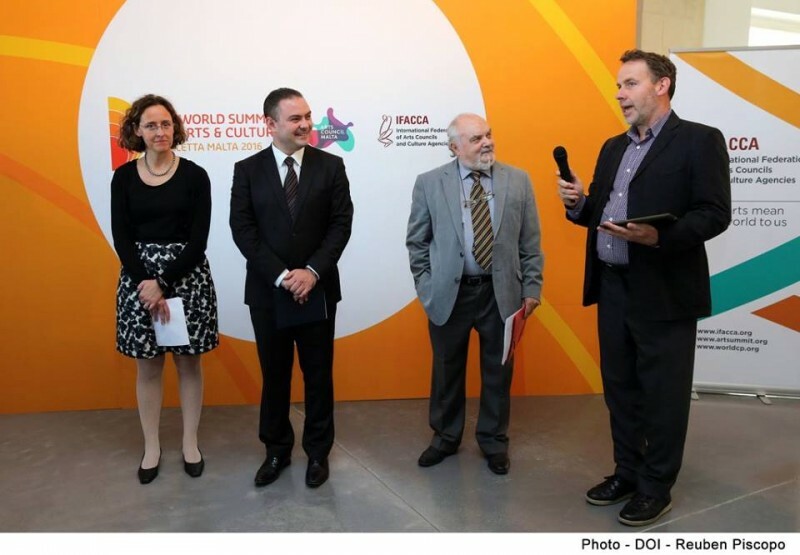 For the 7th World Summit on Arts and Culture, Valletta Malta 18-21 October, 2016, co-hosted by IFACCA and Arts Council Malta, a call for papers on the theme 'Cultural Leadership in the 21st Century'. Proposals for presentations must address some aspect of the theme and relate to one of the following three approaches: Role of government and public policies; Case studies and models; Research, reflections and/or comparative analysis. The focus of the 2016 World Summit on Arts and Culture, will be on Cultural Leadership in the 21st Century. The arts and culture can be considered to be at a crossroads – faced with many challenges and opportunities at the global, national and local level such as: the impact of new technologies on the production and distribution of cultural goods and services; threats to global security; new patterns of migration; changing contexts at the national level including austerity measures and continuous requests for reform; aspirations from artists and culture operators to extend their impact and outreach to other sectors, while also struggling to guarantee freedom of expression and ensure cultural diversity. Cultural leadership which understands and takes into account the changing realities of today’s world becomes fundamental for ensuring that the arts and culture are seen as pillars of social development in the 21st century. Traditionally, the concept of leadership was associated with the top-down approach. Today, leaders can no longer be identified solely based on their positions in governmental or governance structures, but rather on their ability to articulate a vision and bring about change. It is crucial to affirm also the role of artists, leaders of cultural organisations, networks, advocacy groups and professional organisations, whether they are at the local or international level, to maximise the range of stakeholders involved in actively debating and proposing solutions for the contemporary challenges of the arts and culture sector. Today’s communication channels and social media in particular create the environment where leaders can reach their colleagues, peer networks and professional organizations, audiences, decision-makers and general public far easier than ever before and at unprecedented speed. In a time where the idea of participatory governance is fostered and promoted, no decision can be taken without the involvement of a variety of stakeholders. The debates during the 2016 Summit will focus on number of questions: Who are the key players? How are decisions being made? Who provides leadership for development opportunities? What does the concept of leadership represent for different cultures and how do we address the needs and expectations of future generations? How do we articulate priorities and who is responsible for innovative solutions and changes? How do governments and civil society share responsibilities and collaborate? The 2016 Summit will be held in Malta – a country situated in the heart of the Mediterranean, always found at the crossroads, where cultures have been meeting and interacting throughout history. We can’t think of a better place to host this unique international event and to stimulate our discussions.